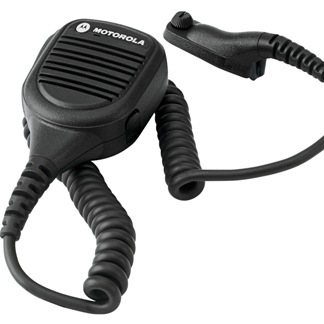 This large remote speaker microphone is easy to operate even while wearing gloves and features IMPRES audio which optimizes your audio when operating in noisy environments. The Windporting feature is specifically designed for windy outdoor environments and dramatically reduces the noise caused by howling winds and harsh weather. Also has a volume switch, programmable orange emergency button and side programmable button.